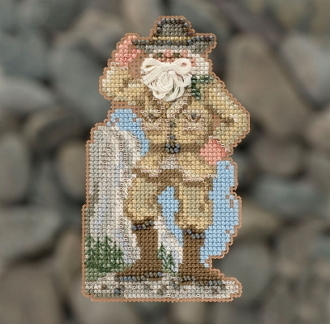 A beautiful Christmas Ornament kit from Mill Hill's National Park Santas series depicting a Yosemite Santa. Makes one ornament to hang. Design size: 2.75" x 4.75" (7cm x 12.1cm).